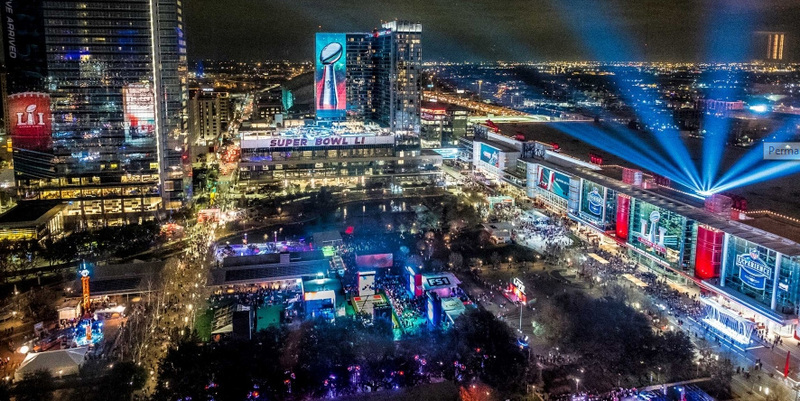 Last month, in preparation for Super Bowl LIVE, Comtrol Corporation’s Rocketlinx PoE Switches were selected by the City of Houston to manage the networking side of their cutting-edge surveillance system. The system, installed by Houston-based security integrator Pref-Tech, deployed dozens of AXIS cameras and speakers, Louroe Electronics sound detection equipment, and Siklu radios to monitor entryways, stages, and entertainment areas throughout the more than 750,000 square foot plaza. A combination of Comtrol’s Rocketlinx PoE Switches, SFP’s, and industrial power supplies were deployed at Discovery Green to manage all of these devices in the urban park. “Given the size of this event, it was extremely important that we deployed a reliable security network that could provide continuous coverage over a large outdoor area,” said Jack Hanagriff, from the City of Houston’s Office of Public Safety and Homeland Security. Among the Comtrol products deployed was our Rocketlinx ES7510-XT, a managed, PoE Plus Fiber switch designed to meet the high power and advanced management needs of critical security applications.